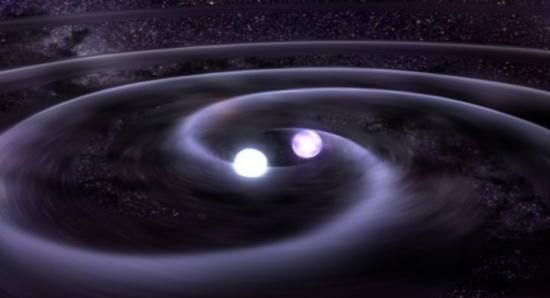 An artist’s conception of a pair of neutron stars producing gravitational waves. Einstein’s special and general theories of relativity make some really odd predictions. Many people don’t care for those predictions, but as a scientist, I have one simple question: Are the predictions confirmed by the data? If the answer is “yes,” the theories are reasonable. The more often the answer is “yes,” the more scientifically sound the theories become. The answer has been “yes” many, many times for these theories, so regardless of how odd their predictions, I have to accept them as sound scientific theories, until another theory becomes even more successful at making such predictions. While the special theory of relativity is strange enough, the general theory is even stranger. It predicts the existence of black holes, and those black holes have been indirectly observed. It predicts that time speeds up in low gravitational fields and slows down in high gravitational fields. Not only does the global positioning system verify this every nanosecond of every day, but it has been confirmed in the laboratory as well. General relativity also predicts the existence of gravity waves. A special facility designed to detect such waves, the Laser Interferometer Gravitational-Wave Observatory (LIGO), made headlines last year when it finally confirmed their existence. It has since detected more gravitational waves, but with the help of other facilities, it has now done something truly amazing! Since LIGO first detected gravitational waves, a similar European facility, Virgo, has come online. On August 14 of this year, LIGO and Virgo both detected gravitational waves from the same source, strongly increasing scientific confidence in the existence of gravitational waves. In all these cases, however, the characteristics of those waves indicate that their source was the interaction of black holes. Gravitational waves are difficult to detect, so they must be pretty big for LIGO and Virgo to see them. The more massive the source of the waves, the larger they are, so it makes sense that black holes would be the predominant sources of the gravitational waves detected. However, on August 17th of this year, LIGO detected a gravitational wave whose characteristics indicated that it wasn’t produced by black holes. Instead, it was produced by objects that were incredibly massive, but not massive enough to trap light (neutron stars). Virgo confirmed that they had seen the same thing: a gravity wave that did not come from black holes. Based on the two facilities’ signals, astrophysicists were able to determine the position of the gravitational wave source. Astronomers turned their telescopes to that region and they found a bright source of light that wasn’t in previous images of the same part of the sky. In other words, it was a new source of light, exactly where LIGO and Virgo said neutron stars were interacting enough to produce gravity waves and light! Analysis of the light indicates that heavy elements were being made, which one would expect from the interaction of two neutron stars. So this is a truly stunning confirmation of general relativity. The theory predicts not only the existence of gravity waves, but it can predict what they should look like based on the type of interaction that is going on. When two detection facilities saw a gravitational wave that the theory says must have resulted from the interaction of neutron stars, astronomers turned to that patch of sky and found exactly what you would expect for such an interaction: a new source of light that indicated the presence of heavy elements! The origin of the universe’s heaviest elements has mystified scientists, but after Monday’s (Oct. 16) historic announcement of the detection of gravitational waves produced by two colliding neutron stars, astronomers have struck gold — literally. Actually, the scientific article linked above tells a different story. It definitely indicates that heavy elements were made, but it says nothing about the detection of gold. In fact, it uses three models of the nuclear physics thought to occur in neutron star interactions and “twiddles” with the parameters of those models until it gets a good fit for the light that was detected from the neutron stars. Those models indicate that some gold was made, along with a lot of other heavy elements. However, we have no idea how reliable the models are, so we have no idea whether or not gold was actually made in the interaction. It’s sad that the media chose to overhype this discovery, because from a scientific point of view, it is a stunning discovery that needs no hype at all! I’m so glad to see this article. My brother and I were just discussing this yesterday. We were discussing how this was presented on the news that the actual event took place millions of years ago and the light was just reaching us now. We discussed many views but I don’t know how this fits into or aligns with our new Earth perspective and I was wishing you were here to give your thoughts. 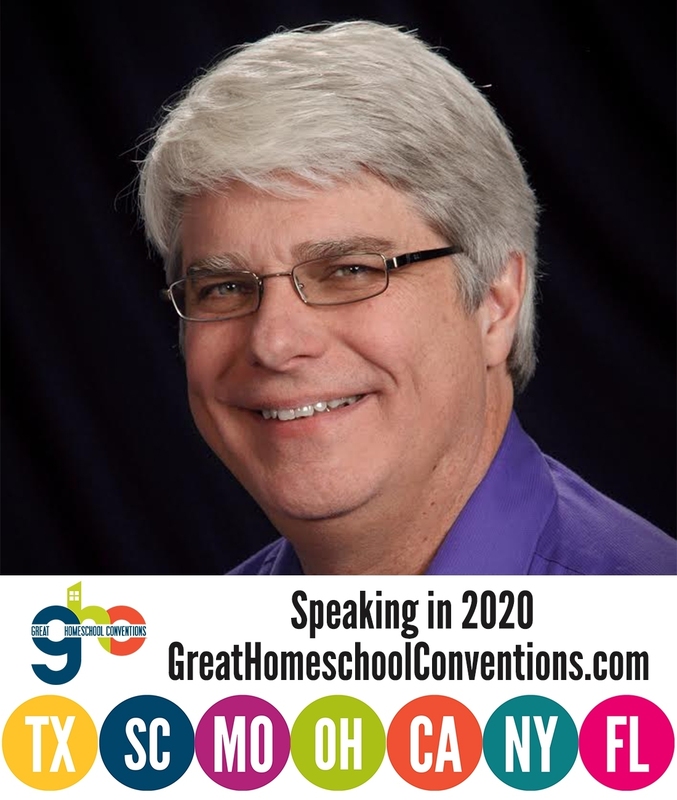 Hopefully now you can help me so that I can explain it better to our kids! Thank you! What we know is that the distance out to the interacting neutron stars is 130 million light years. Scientists who are concerned less about the data and more about their preconceived notions say that this means it took the light we are seeing from the event 130 million years to get here. However, that assumes time behaves uniformly throughout the universe, and we know that’s wrong. Relativity says it doesn’t, and the global positioning system (along with many other observations) confirm relativity’s statement. To convert the distance light travels to the time it took the light to make the trip using the physics we know today requires an assumption of how mass is distributed throughout the universe. Scientists who say that it took light 130 million years to travel 130 million light years assume that mass is pretty evenly spread throughout the universe, even though we know that is definitely false. Creationists make other assumptions about the mass distribution in the universe and come to the conclusion that light can travel millions of light years in only thousands of earth years. Thank you very much. I love that you help us equip our kids to defend and support their belief system. Have a great day! Do you know if those creationist explanations account for the speed not just of light but of gravitational waves as well? I don’t know if some of the discussions I have seen in the past about distant starlight only address the electromagnetic spectrum. This discovery seems to add a new “dimension” since scientists detected the gravitational waves and then immediately saw the results on the electromagnetic spectrum, suggesting both actions propagated through the universe at the same speed. I know there are many different creationist perspectives on the age of the universe, not just old-earth creationism but even within young-earth creationism (such as the “biosphere model” or “white hole cosmology” – though I am not very familiar with them) so I have no qualms with the possibility of the event occurring 130 million years ago, but I always appreciate your perspective and insight. I personally have no spiritual qualms about the event happening 130 million years ago, since I don’t think an old earth (or old universe) contradict Scripture. I just think they contradict the bulk of the scientific data. It doesn’t really matter what is traveling in the YEC view of the universe. The gravitational field affects time, not speed. Where time ticks more quickly than on earth, things appear to us to move faster. From their perspective, however, they are traveling at the proper speed. You can think of it this way: if time ticks slowly on earth compared to parts of the distant universe, what takes millions of years in the distant universe takes hundreds of years on earth. Actually, John, that was confirmed by the August 14 observation. That’s not what this article is about. It’s about the confirmation of the fact that General Relativity can predict the characteristics of gravitational waves so precisely that it can determine the kind of event that generated them. That’s what’s so stunning about this result! Haha.. yes yes. I just couldn’t help but point out that Poincare developed most of the theory before Albert. At any rate I’m working on a new abstract theory that has to do with energy state and more treadmills. That thought experiment I posted on your earlier article got me thinking some more. About how you said SR doesn’t care about energy states only motion. I was thinking what would happen if we inverted this. Suppose an omnidirectional conveyor belt existed which is traveling at c. EM waves are simply riding it’s motion. In fact all massless forces following the inverse square law are simply being carried by the Aether tide. For analogy, a man running on Earth could be said to exhibit a higher energy state than one standing. However the running man is actually working against the earth traveling at speed beneath him. The standing man is getting carried away by the treadmill earth. In a same way adding motion to light in any direction is working against the conveyor belt of omni-directional Aether. The man running on earth isn’t working against the earth. He has the speed that the earth has, and he also has the speed he is giving himself. The man standing still has only the speed the earth gives him. Thus, the only difference between them is the speed that the running man has given himself. If I am on an airport’s moving walkway and am walking at a steady pace, the energy I expend is the same, regardless of which direction I walk. Now…my speed relative to someone standing off to one side of the walkway is strongly affected by the direction I am walking. If I walk with the motion of the walkway, my velocity relative to him is faster. If I walk against the motion of the walkway, my velocity relative to him is slower. However, if I walk at the same pace, my energy level is the same regardless of my velocity relative to the person off the walkway. Has anyone ever suggested the possibility of a Quality of Space Time, re: Gravitational waves, traveling in a different manner? That is, as the vibration initiates at a point of origin, at that same exact instant, the point at which it is detected, at another location , so ithe quality of space-time, appears to appear instantaneously at the point of detection with respect to the point of origin. That is, the Observed effect appears to arrive instantaneously at the point of detection though the Speed may not a true speed at all but only a simultaneously detected signal intitiated at the point of origin and detected instantaneously at the point of detection. I guess I do not understand what you are trying to say, George. The gravity waves seem to be moving at the speed of light, at least that’s what the time differences between Washington and Italy indicate. I’ve been watching a lot of videos on YouTube about Electric Universe (EU) model. In one particular video, they said and displayed a paper about how gravitational waves haven’t been discovered. It’s the machine was sort of engineered that way to “find” them. I wish I can find the video… but I have been watching so many of them! The EU model also disregard ideas such as: the ort cloud, dark matter, dark energy, black holes, etc; that may seem like it’s weakness, but astronomers even admit they haven’t observed a black hole. All of which they say is needed to keep the Big Bang Theory operating. I think studying both sides is conducive in furthering science. I’m just a layman so much of what they discuss flies over my head. One thing that piqued my interest further into this field is that someone mentioned “mathematical equations cannot explain how the universe operates. I wasn’t even familiar with the EU model until I read a reply on one of your blogs. Einstein was a brilliant man, but is it possible his theory isn’t accurate? I hope you didn’t spend too much time looking for that video, Kenyatta, since its point has been shown to be wrong. Sure, it’s possible that a single facility could make a mistake and find something that wasn’t really there. However, when two facilities (designed differently and run by different groups of people) that are separated by thousands of miles detect the same thing twice, it’s clear that what is being detected is real. I am not sure what astronomers you are referring to when you say, “astronomers even admit they haven’t observed a black hole.” I don’t know any astronomer who says that, and I work with several. As the link I gave in the original post demonstrates, there is a lot of observational evidence for black holes. I agree that studying both sides is conducive in furthering science. However, admitting when a competing theory has been confirmed in such a stunning way is also conducive in furthering science. Einstein’s brilliance is utterly irrelevant in this discussion. Lots of brilliant scientists have been demonstrated to be wrong about lots of things. The issue at hand is what predictions does a theory make, and do the data confirm or deny those predictions? While it is certainly possible that the General Theory of Relativity is not accurate, one has to explain how this not-accurate theory is able to predict the existence of gravitational waves (which has been confirmed) and then predict the properties of those waves so accurately that they can be used to tell astronomers where to look for the interaction of two neutron stars, and when the astronomers look there, they see exactly the transient event that was predicted. Add this to the other data that confirm the predictions of General Relativity, and it is hard to believe that the theory isn’t mostly correct. I’ve asked a few astrophysicists and haven’t gotten a straight answer: is the detection of gravitational waves from a black hole merger the first real evidence of the existence of event horizons? I feel like it must be, because all our other data is electromagnetic in origin – and from far away that can never show us an event horizon. But the gravitational wave signal can tell us whether the merging bodies have event horizons. To me this is the most amazing part of the detection: that black holes, in their full glory, are almost certainly real. I think Ramesh Narayan was the first to offer observational evidence of black hole event horizons. This didn’t have to do with gravity waves, but the lack of Type I X-ray bursts coming from black holes. Neutron stars have lots of them, black holes don’t. That’s pretty strong evidence of an event horizon. That’s really cool. Thank you. This does seem like a somewhat complicated thing, which might explain why I didn’t get any good answers when I asked people. Dr. Wile, I love your website. But you have this wrong. LIGO has not detected Gravity Waves. However, further examination of the data has proven the Danish team to be correct. The noise is correlated. The LIGO team refuses further comment at this point. Back in reality however, if black holes really had collided where LIGO claims,there should be some evidence, in the form of electromagnetic signals. Gamma Rays, X-Rays, Radio Waves etc. We have pointed 25 real telescopes at LIGO’s claimed discoveries and found no such evidence. This is looking more and more like the BICEP2 debacle everyday. The odds are pretty substantial that the only thing LIGO has detected is lightning in the atmosphere. It’s always possible that there is some other explanation for LIGO’s results, Jackson, but remember Virgo has independently confirmed two of its detections, so that makes it much, much harder to believe it is a noise issue. In addition, while they might not have found anything when telescopes were pointed to the black-hole-produced gravity waves, remember that with only the LIGO detectors, the accuracy of the position is rather poor. Thus, it is very possible that the telescopes aren’t really pointing in the right direction. In the discovery discussed in this post, Virgo also saw the waves. This increased the accuracy of the position determination, and when telescopes were pointed there, they found exactly what was expected from the gravity waves. This is what’s nice about having independent labs making measurements. It leads to a lot more confidence in the conclusion. Yes, but Virgo only detected the same data AFTER the same modifications were made at Virgo, which had been previously made at LIGO. Basically, the exact same people are making the exact same announcement. No, very different people are making the measurements at very different places. They may have collaborated on design, but the positions and people are very different. Also, the measurements point to a specific region of the sky and a specific interaction, and when telescopes are pointed there, evidence of that specific interaction is going on. That’s an AWFUL lot of coincidences to be produce by noise!